Israeli startup is starting its first deployments in Europe. The technology puts a very modern spin on the old-fashioned flywheel. After years of sputters and stalls, including the billion-dollar failure of Israel’s Better Place, nearly every car manufacturer is actively working up an electric vehicle (EV) roadmap. General Motors, which plans to launch 20 EV models by 2023, has some 1,700 developers, including a team in Israel, working on batteries and EV design. There’s one electric elephant in the room, though: the time it takes to recharge an electric car. Even the best fast-charge technology available today takes a sluggish 40 minutes to fill a depleted battery. For drivers accustomed to pulling in and out of a filling station in under five minutes, that’s not good enough. Israeli startup Chakratec aims to speed up battery charging through a unique technology that sounds like science fiction: floating flywheels suspended in mid-air by magnetic levitation. Chakratec’s solution is intended for the charging stations, not the batteries, so any current-generation EV ready for fast-charging will work with its system. CEO Ilan Ben-David compares Chakratec’s kinetic storage technology to a Hanukkah dreidel (spinning top). “When you put electricity in, the flywheel starts to rotate. Since the flywheel is suspended by magnets in a vacuum chamber, there’s almost no friction. So the flywheel keeps spinning at the same speed,” he tells ISRAEL21c. When a car is ready to plug in, the energy from the flywheel is converted back to electricity. The vehicle can be charged in as little as 10 minutes. Typical EV charging stations store electricity from the power grid in large lithium-ion batteries. But these batteries are not environmentally friendly and degrade fairly quickly, just like the batteries in your cell phone or laptop. 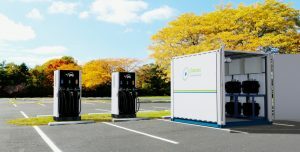 “A typical fast-charger charges about 20 cars a day, so that local storage has to be filled and discharged 20 times a day. We know that we’ll have to replace the batteries every few months,” Ben-David explains. A Chakratec flywheel-based charge station, by contrast, can operate for up to 20 years, Ben-David claims, and at up to a 70 percent lower cost. Why not simply charge the car from the closest power line without using a battery as a buffer? That would require a high voltage line, which is not available in every residential neighborhood or in rural areas. And if they were, “Once you plug in your car, the lights in all the houses nearby would dim,” Ben-David points out, which doesn’t make for the best of neighbors. Chakratec’s kinetic storage doesn’t need to fill a local battery buffer all the way up in advance before it can discharge its electricity into the car. Rather, it operates more like a toilet, slowly filling the tank, discharging quickly as needed and immediately starting to refill. In order to not leave drivers waiting for the refill, each Chakratec-powered charging station includes several flywheels and charging nozzles. “There are not a lot of electric vehicles in the world yet – in most countries it’s just a half to one percent of all the cars on the road – so we recommend two nozzles per station,” Ben-David says. When EV penetration increases, Chakratec can scale up. But that might not be necessary. “The discussion today is whether fast-charging should be a spontaneous or a managed service,” Ben-David says. Spontaneous is how modern gas stations work, where drivers stop in randomly. To accommodate demand, lots of nozzles are needed, with the majority standing empty most hours of the day. A managed service would let EV owners set a charging appointment for a specific time via mobile app. Managed charge creates the opportunity to build charging stations with a smaller footprint in a greater number of locations. If a large event were to bring a lot of electric cars to the same area, mobile chargers could be sent to that location. Returning to the toilet analogy, “It’s like adding extra porta-potties,” Ben-David says. Chakratec has begun rolling out in Europe and expects to have five customers by the end of the year. There’s one deployment at an airport that rents out EVs (Ben-David is not at liberty to say which one) and the company is working with several European electric utilities. The French charging solution provider DBT-CEV plans to use Chakratec’s technology to triple the power available from the grid. 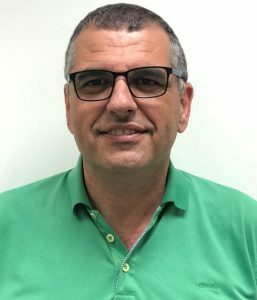 The Lod-based Chakratec has raised a total of $7.6 million since it was founded in 2013, including $4.4 million raised in May in a round led by iArgento, an Israel-based family office, and Goldbell, a Singapore-based distributor of industrial vehicles. In October 2017, Chakratec won the energy storage capacity award at the eMove360 Europe 2017 trade fair in Munich. The company also was selected to participate in a global incubator network in Austria and reached the top 10 in the 2017 Shell New Energy Challenge. Its latest achievement: 2018 Outstanding Venture at the National Renewable Energy Laboratory Industry Growth Forum competition in Colorado. An appropriate mashup for a company aiming to push electric cars further into the fast lane.